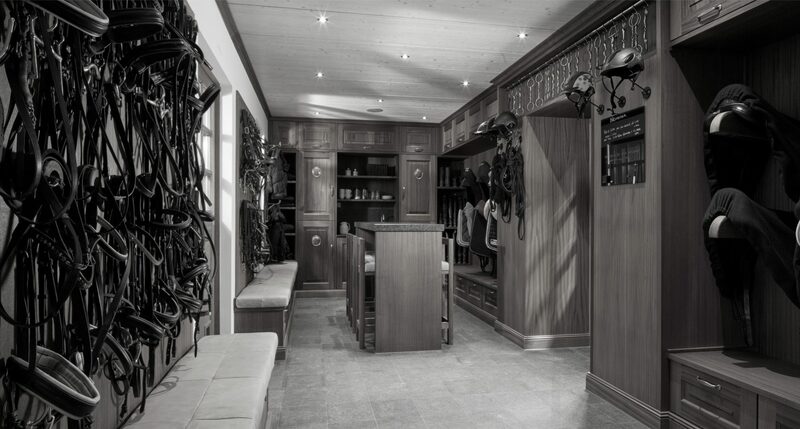 Inspired by the desires of our customers, we design interiors and products for stables. 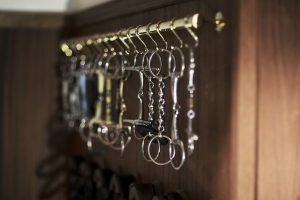 Equestrian sport is in our blood, just like the love of craftsmanship in precise designs and expert installation. We make products that make your daily work more functional and pleasant. That this can be effectively combined with aesthetics and atmosphere is clear from the projects that we have completed, both nationally and internationally. 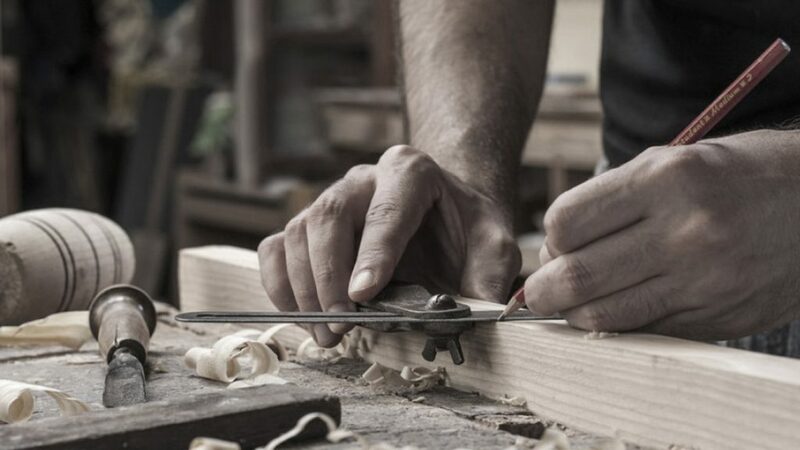 As a family business, we do everything ourselves, from consultation and the first sketches to the final delivery. 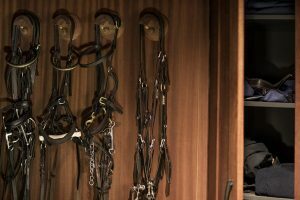 The daily wear and tear; bringing saddles, cinches and other tack in and out; cleaning and polishing — and all the rest — calls for more than just solid carpentry. 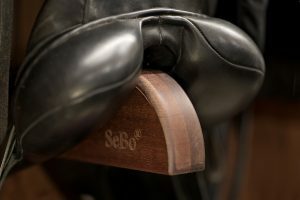 The stable owner’s image and work style is also extremely important to SeBo. We listen to your ideas, your needs and wishes. 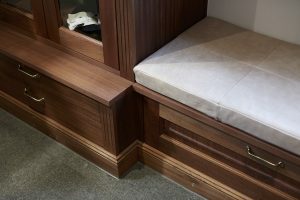 We make the best possible use of every square inch of your space. See for yourself. This is the heart of the operation. This is where it all happens. And it’s fully efficient. That’s what we stand for. Interiors made to measure — the most luxurious way to live. That’s always SeBo’s starting point. We work with our clients to discover the best possible layout. What suits your style? 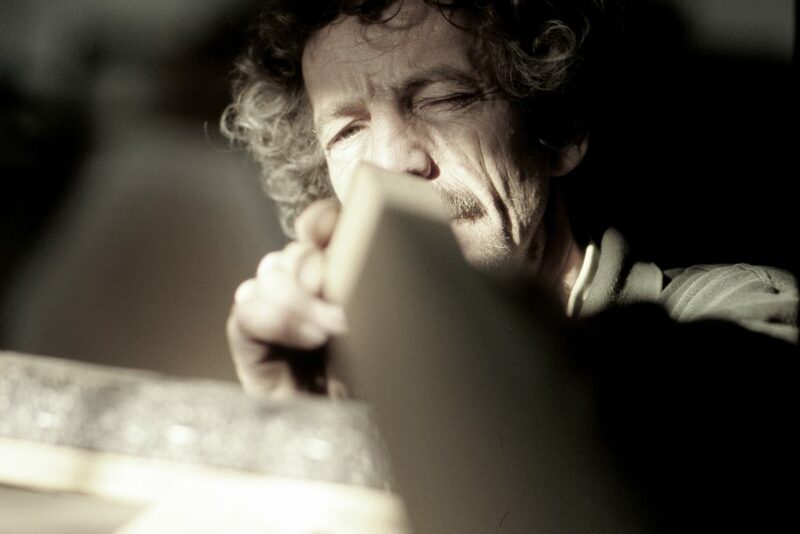 Once we know that, we can produce every piece of furniture in our workshop. You’ll start enjoying your living space just as soon as we have furnished it. And we reach that goal with your needs in mind. At SeBo you can expect functional, innovative objects for every possible interior — each one a feast for the eye. 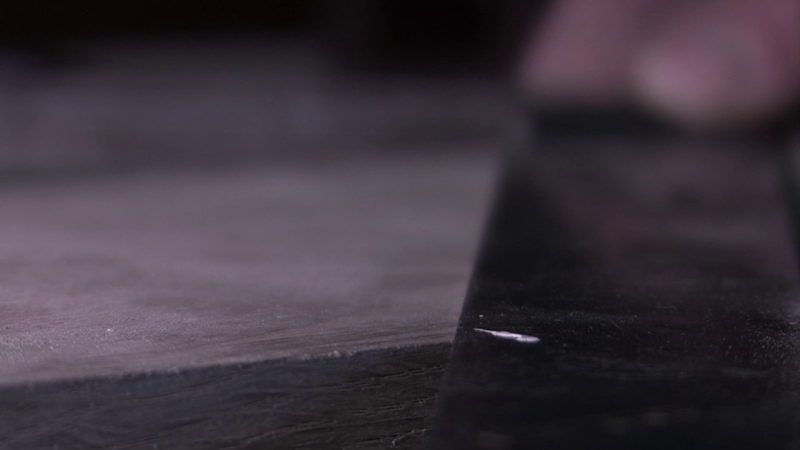 Our beautifully crafted objects meet the highest quality standards in terms of functionality, design and craftsmanship. By consistently living up to these principles, in small or large projects, we have developed a considerable following at home and abroad. Thinking about and developing new ideas, and innovation in products and production methods are some of SeBo’s strongest characteristics. With designers who are passionate about their work, you’re assured of solution-oriented concepts and novelty in your designs. With a wealth of experience and flawless sense of beauty and functionality, our team will bring your wishes to life with a line of high-quality products that are sustainable both in time and use. 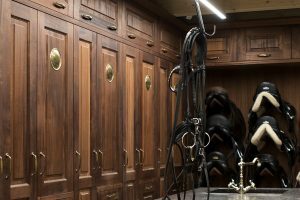 We present a selection that focuses on the equestrian sport and a selection of high-quality interior projects realized in The Netherlands and abroad. Our projects meet the highest standards in terms of functionality, design and craft. The constant realization of these starting points in small or large projects makes us very popular and much requested at home and abroad. To give you an impression of our projects, we proudly present a small selection of our work. 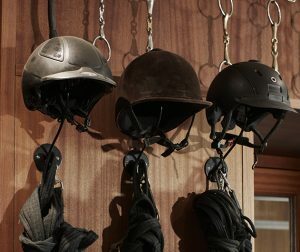 The bridle holders are manufactured with rounded corners ensure that the leather is not damaged and is moisturizing. Wooden lockers with ventilation grids are moisture-regulating and are available with various functionalities. Totally modern and sleek design, or cosy, warm tones; SeBo® Interior & Equipage have both the eye and experience to beautifully intertwine the two. Each space, each style and each interior will receive its own context and appearance. The SeBo® Interior & Equipage designers advise, translate experience and taste preferences perfectly into comfortable living.